Then Again, What Do I Know? 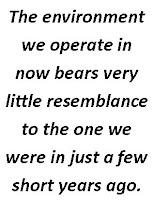 Written by Mark Emery, CEO of Imagine!, with the creativity of Fred Hobbs. This blog is meant to discuss ideas of interest in the world of Intellectual Disabilities in Colorado and beyond. The blog is a “safe zone” where discussions are open and honest, and new ideas and new ways of looking at things are encouraged. 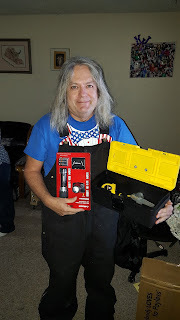 It is the end of the year, and as I have done in years past on this blog, I would like to share some issues on my mind for the upcoming year, as well as make some educated guesses about what’s next for those of us in the field of serving individuals with intellectual and developmental disabilities (I/DD). What will I/DD services look like in five years? Delivery model: I see services for individuals with I/DD being swept up into other federally funded Medicaid Long Term Care Services. Right now, Colorado is moving forward with an Accountable Care Collaborative (ACC) model to expand medical home services for their adult and pediatric Medicaid population. This concerns me for several reasons, but primarily because services for people with I/DD aren’t always, or even usually, medical services, and shouldn’t be treated as such. Allow me to explain. Under the ACC model, primary care medical providers (PCMPs) contract with regional care collaborative organizations (RCCOs) to provide medical home services to Medicaid enrollees. The goal of the ACC is to have every member linked with a primary care medical provider (PCMP) as his or her central point of care, and the PCMPs are directly responsible for ensuring timely access to primary care for ACC members. Our non-medical services are designed to provide opportunities for people with I/DD to engage fully in their communities, and therefore they occupy a unique niche in Medicaid’s funding system that doesn't fit well with the ACC model. Recent history demonstrates that when I/DD services are blended with other services in order to make appropriations easier for the State, it’s the I/DD services that suffer, followed by inevitable unintended consequences. Reimbursement model: Reading between the lines of the ACC Phase II documents, the funding mechanism for most I/DD services will probably remain a fee for service model. There seems to be little acknowledgement or memory of what a disaster this model has been. Preferably the state would consider moving the resources directly to the end-user team, and let them figure out the plan. This would be a true person-centered approach. Regulatory/legislative issues: It gives me no pleasure to say that Colorado does not appear to have the horsepower when considering unintended consequences or redundancies when creating new rules and regulations, and will struggle to keep up as the world moves at lightning speed around it. I see little evidence that this will change in the near future. Labor force shortage: Along with many others, I have been warning about the impending workforce shortage facing our field (check out this post from 2010). Well, now it is here. There are too few people able and willing to do the hard work of Direct Support Professionals for such poor pay. This is why Imagine! has been pushing for technology solutions so diligently over the past decade. We need to engage new business tools now. What services/service bundles will be needed or provided? Regulators removed bundling in the mid-2000s. Providers are sneaking back to bundling even within the fee-for-service model. They are struggling with capacity issues and low rates and bundling services together will temporarily mitigate some of the fee-for-service issues. We’ll see if this can continue. What will the system look like in terms of Community Centered Boards and providers? If I/DD services are crammed into the ACC, Community Centered Boards will be reinvented and redefined due to the impact of the ACC. I used to think that the concerns about Conflict Free Case Management (learn more about CFCM via video here, here, here, here, here, here, here, here, here, and here) would cause more fear in Colorado’s system, but now I think the ACC will be the ”man behind the curtain.” It is difficult to guess what the final result will look like, as the State has been completely opaque when it comes to offering information. As for providers, even though we have seen recent growth in the number of small providers, I predict we will be seeing a great deal of consolidations, mergers, or arrangements similar to franchising, moving forward. Current rates just won’t allow for smaller providers to thrive. What role will technology/apps play in serving individuals and families? If you have read this blog at all, I think you know where I stand on this particular topic. 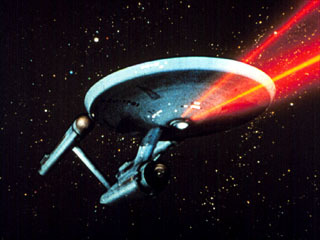 I believe in a technology first approach. All of us use what I like to call “cognitive prosthetics” – tools like smartphones, smart homes, or even Google, that have become extensions of our being. We need to engage people we serve with those same technologies, and we need those who make the rules and regulations governing what we do to accept that this isn’t just something to look at in the future, but that it needs to be embraced immediately. What will new programing look like? How will it be retooled? Innovated? My greatest wish is to see non-residential services evolve. Nobody’s life revolves around their residential setting, although you wouldn’t know it by looking at where the emphasis on services in our field lays. I’d like to see us get to the point where the lives of those we serve are defined by what they do when they are not asleep, and services that reflect those definitions. What will Person Centered training and practice look like? I have never considered this anything new. I am not a fan of a phrase that is so obvious, created specifically for people with I/DD, and yet is marketed as the latest thinking - like it is an outcome. The rest of the world calls it user experience. That being said, I firmly believe that we have the tools already to deliver services that are much more focused on a user’s experience, similar to how we craft phones, tablets, vehicles, and every other activity in our lives. 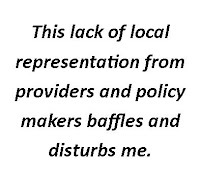 We don’t have a system that supports that approach, and until that changes, Person Centeredness will simply be an empty buzzword used to mask the real deficiencies in how services for folks with I/DD are delivered. How will personal outcome measures evolve? This is probably the easiest question to answer. Outcomes should be measured by the way all of us measure outcomes: friends, lovers, family and social events; art, performance and music; life activities; travel; hobbies; fan of your favorite team; life-long learning, play; and then all the emotions, happiness, sorrow, etc. Despite my occasional cynicism, I believe we can and will get there. The biggest question is when. 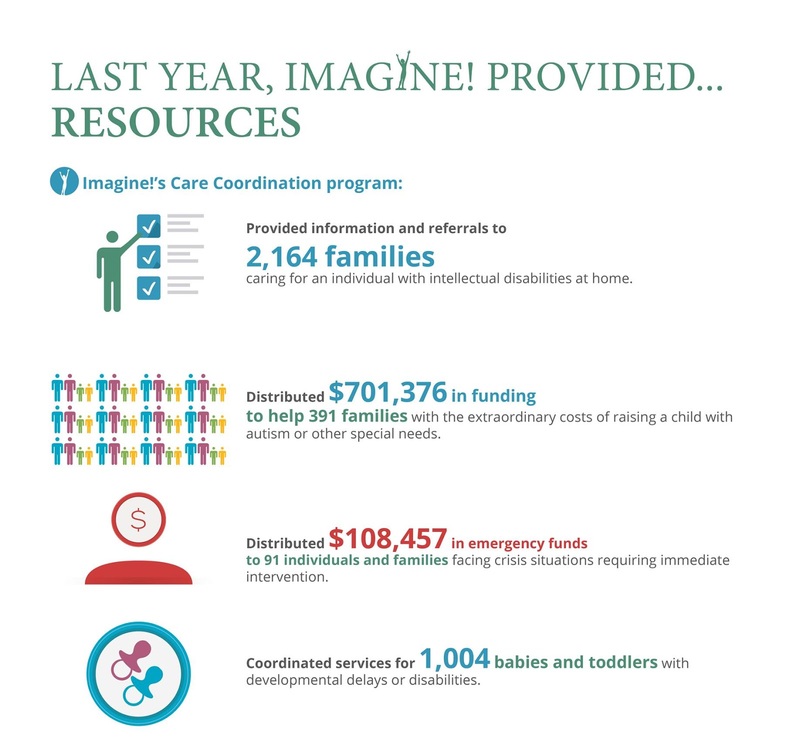 An electronic version of Imagine!’s 2015 Annual Report is available online. An overview of our year, along with stats, stories, and successes to celebrate, are just a mouse click away. Click on the image below to check it out. Can’t see the image? Click here. 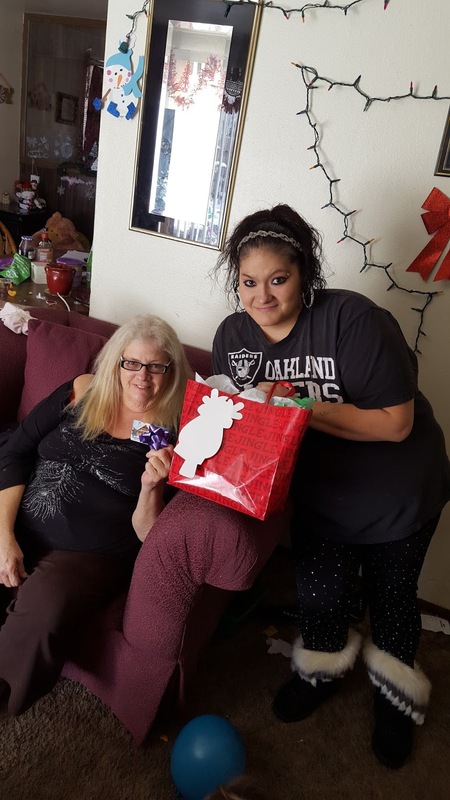 Imagine!’s Annual Gift Giving Program was another huge success! 361 children and 147 adults received gifts this year thanks to the generous support of many in our community. I’ll highlight those supporters on this page in the coming weeks, but for today, please enjoy a few pictures of some of the gifts and some of the happy gift recipients, and accept the warmest of Holiday wishes to you and yours from all of us at Imagine!. I recently had the pleasure seeing, up close and personal, a performance by the phenomenal guitarist Ottmar Liebert. As I watched him, I couldn’t help thinking “this is a person who has mastered his craft.” I don’t mean that he is absolutely the best guitarist in the world (I’ll leave that debate to others), but watching him you almost sense that he is one with his guitar. He truly appears to have complete mastery over the instrument. It can be a transcendent experience to encounter a person who has truly mastered his or her craft. Naturally, it got me to thinking: is there a person we can point to in the field of serving individuals with developmental or intellectual disabilities who can be described as having mastered that craft? I don’t mean academics or administrators, though there are plenty of smart and talented folks who keep our field moving forward by providing the latest data and studies on what techniques or technologies may advance our knowledge and improve our outcomes. They are worthy of being celebrated, but that is not who I’m looking for today. I’m looking for those people who simply have that innate ability to recognize the strengths of any person, irrespective of that person’s abilities or disabilities, and are able bring those strengths to the forefront. I’m looking for the doers, the ones on the front lines making an impact – the craft masters. There are some ways that those in our field are recognized for being at the top of their game. At Imagine! we honor Employees of Distinction every year, Alliance honors a Colorado Direct Support Professional of the Year annually, and ANCOR presents an annual National Direct Support Professional of the Year Award. Even with those recognition opportunities, I doubt right now there is one person to whom most everybody in your field could point to and say “that person has mastered the craft of serving people with intellectual disabilities.” But those awards, and evidence I see every day, indicate that many of those craft masters exist. Quite a few of them work right here at Imagine!. The question is, are we as an organization, as a field of services, and even as a society, enlightened enough to recognize this mastery and honor it as we should? To place these craft masters on the pedestals they deserve, and to see them as people to be admired and emulated? Are we giving them the opportunity to write books, give presentations, or make videos so the rest of us can learn from their mastery? I’m not convinced we are, but I’d like us to get there. We celebrate musicians, athletes, and performers all the time. We rightly recognize when someone has combined natural talent, hard work, and commitment to be the best at what they do. I hope you will join me in the New Year in making more effort to do the same for the dedicated men and women who anonymously work to master their craft in our field every single day. They certainly deserve it. Last week we shared some photos of Jessie, who receives services from Imagine!, meeting with University of Colorado College of Engineering and Applied Science students who created a wheelchair canopy to protect her from inclement weather. Two groups of CU engineering students met up with Jessie and myself back in September and said that they were starting a project and would like to design and create a mechanical wheelchair canopy that will serve as protection from the rain and snow. Jessie and I met with both teams and the students asked her what she would like the canopy to do, what color she preferred, how she would like to maneuver it, etc. They took pictures and measurements of her wheelchair and I provided photos of her back-up wheelchair at home. The first group presented their project to Jessie on Thursday, Dec. 11. The canopy is motorized and uses two 9-volt batteries. There is a hand lever that makes the top canopy go back and it attaches to the base of Jessie’s electric wheelchair. It is fastened to her chair with straps. It has a grey canopy. It took the students four hours per day for two weeks to complete the project. I asked them what was the best aspect of the project and they said, “The challenge of making it. Seeing the project come to life and helping others.” They said that they enjoyed problem solving. This canopy is manual but it folds back and hangs down from the back of the chair when it is not in use. It is blue with a plastic window and panels on the side to protect from the weather. There is a rope attached to the center of the canopy on the inside that Jessie can pull to bring the canopy forward. It attaches to the handles of the wheelchair. This group said that they worked on the project for ten hours per day for three months. This included a presentation, an expo and workshops (I’m sure this goes for both groups). They said they had other designs before this one but this design functioned the best. When asked what the best part of the project was, they said, “giving it to Jessie.” Jessie picked the color for this canopy. Just a side note, when I met up with Jessie and the students she was absolutely beaming in excitement and said that she wanted to drive home with the canopy attached. It was a pretty cool moment for her and the students. I’m glad I was able to be a part of it. Jessie says that she likes it much better than having a flag on her wheelchair. Jessie feels lucky to get the canopy right as the winter season is starting. Thanks LeAnne for that detailed account of the project, and thanks Conor, Toby, Shane, Dylan, Clair, William, Alana, and especially professor Melinda Piket-May, who taught the class and supported the students throughout the semester. 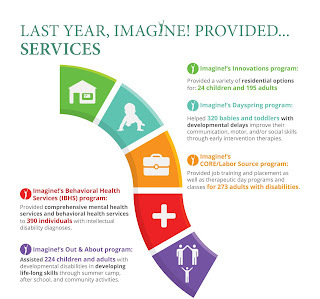 Learn even more about Imagine! 's year by checking out our latest Annual Report. 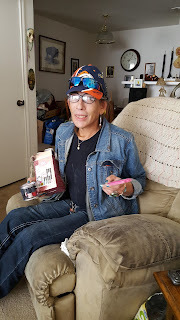 Below are some pictures of Jessie, who receives services from Imagine!, along with students from the University of Colorado. 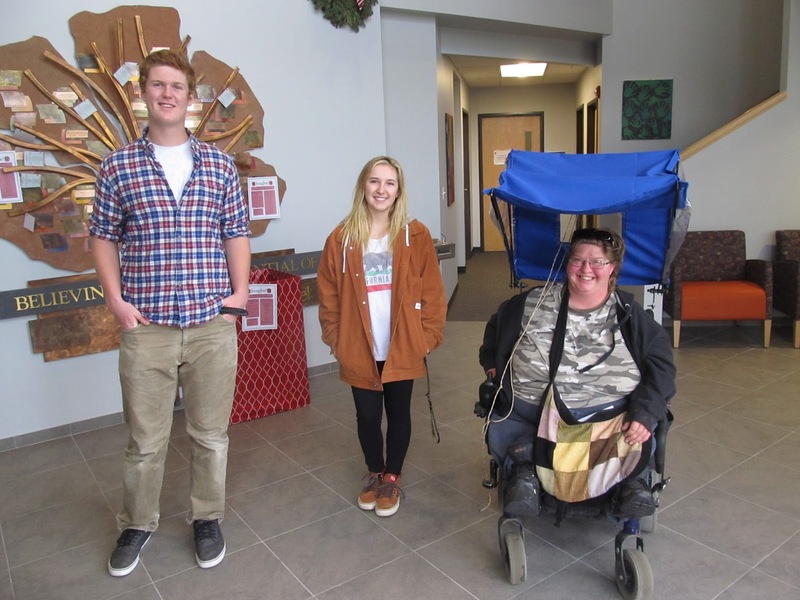 The students gave Jessie an early Christmas present – a retractable umbrella attachment for her wheelchair. If you know Jessie, you know she is fiercely independent, and she travels around outside in her wheelchair all the time. Colorado weather can change in an instant, and having this attachment will help keep Jessie on the move, even when the weather isn’t at its best! The attachment was created by CU Engineering students in Professor Melinda Piket-May’s class. 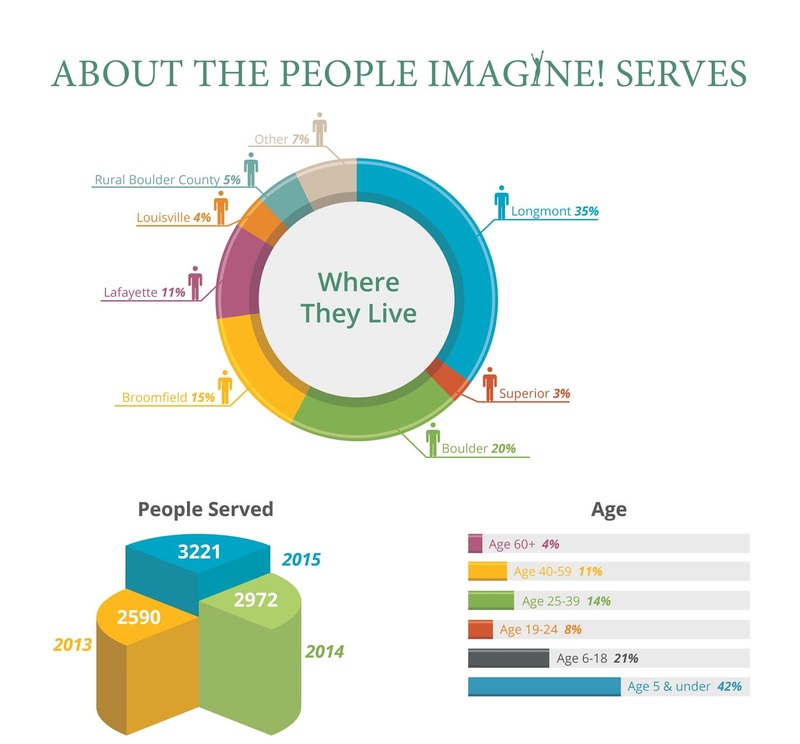 Learn more about the CU/Imagine! collaboration here. We all need a little inspiration now and again. Recently, I was inspired by a story I read about a young ski jumper named Logan. Logan’s tale originally appeared as part of the USA Nordic Sport Story Project. This project asks every ski jumper or Nordic combined skier (or fan) in the US (or world) to share a short story and photo to be posted on the USA Nordic Sport Story Project blog. Their plan is to share 31 stories - one each day from December 1 to December 31 - in hopes of raising $50,000 for funding the future of ski jumping and Nordic combined in the USA. In a previous life, I was a ski jumper, so naturally I have been drawn to this project. But Logan’s story was especially relevant to my life and I wanted to share it with you, my blog readers. I reached out to Logan’s mom for permission to share his story, and she generously agreed. So please enjoy the story below, and I hope you find it as inspiring as I do. 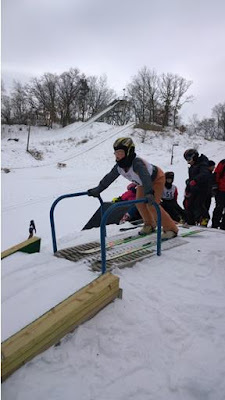 Logan Mackey is 10 years old and ski jumps with the Itasca Ski Club in Coleraine, MN. He is a friendly, generous, and sweet kid, passionate about ships, sirens and ski jumping, and loves life to the fullest. He joined ski jumping as a first grader when we were trying to find ways to help him manage his anxiety and to help advance his learning and motor skills as he had been diagnosed with a Developmental Cognitive Disability. Neither medication nor therapy had helped enough, so why not try ski jumping? Junior coach, Sue Kavanagh, was so supportive and engaged with Logan at that very first Learn to Ski Jump Day that he had no doubt about joining the team. As he continued to practice, his ability grew as well as his confidence and social skills. His younger brothers, age 6 and age 4, then started in the sport and Logan was able to help take on a teaching role with them, which also increased his confidence as well as his communication and his ability to lead. As he mastered the 10m hill, I thought he'd be too afraid to even go over to the 20m hill. But with the confidence given by coach Sue and 20m coach Doug Maki, Logan went down the 20m landing with barely a hesitation. He then proceeded to ski from the 20m half bar by the end of that practice and a week later, he was able to ski from the top of the 20m. I am amazed at what he has been able to accomplish! The benefits of this sport go beyond athletic ability and skill gained from practices and tournaments. It teaches responsibility as the kids help take care of the equipment and the hills. They learn how to support each other on and off the hills. They are surrounded by positive role models as they watch and interact with the "big" kids that jump the 40m and 70m hills. And it makes them part of something bigger as they carry on the tradition of ski jumping in Coleraine. As I see him developing into a responsible, mature, happy young man, I am, and will be, forever grateful, not only to his current coaches, Sue Kavanagh and Doug Maki, but to all that have kept the sport alive in Coleraine, MN, for the last 110 years. From Ole Mangseth and John Greenway to present day Shrock's, Denney's and Rick Anderson along with many others, a lot of dedicated parents and volunteers, including those of you at Central and USA Ski Jumping, that put their time, energy and efforts into providing this amazing sport for my children as well as many others'. I sincerely appreciate everything you do. Thank you! Thanks to you, Colorado Gives Day was a great success for Imagine!. We created a short “thank you” video below to let you know how much we appreciate your support. Enjoy! Imagine!’s Out & About department’s fourth “Thank Goodness Its Saturday” event was dedicated to getting physical, for both parent and kid participants. The Erie Community Center was the venue for parents to enjoy a little free-time by participating in various fitness classes that the Recreation Center offers. 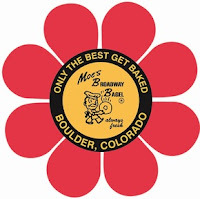 After working out, parents enjoyed a terrific assortment of goodies courtesy of Moe’s Broadway Bagel on 30th and Arapahoe in Boulder. I’d like to thank Moe’s for donating the delicious treats enjoyed by parents. As for the children, they took a trip to Jump Street in Lakewood for some trampoline fun, snacks, and lunch. Thank you again to everyone at Moe’s. We greatly appreciate the generosity and kindness of your donation! In a recent post on this blog, I pointed out the sad irony of trying to provide services for individuals with intellectual and developmental disabilities in the state of Colorado: irrespective of how the economy is doing, the rates for providers always seem to get cut. Then, I questioned whether the current state leadership has the skills or capability to bring us out of the hole. Instead, we just go deeper into it. The result is an inability to find extra funds for many of our state’s pressing needs, including services for people with intellectual and developmental disabilities (I/DD). 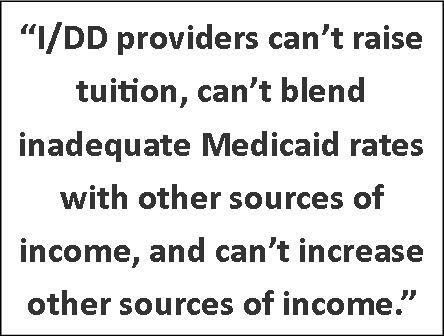 I/DD providers can’t raise tuition, can’t blend inadequate Medicaid rates with other sources of income, and can’t increase other sources of income (such as insurance payments) while limiting Medicaid clients to a manageable loss like other areas of health care. There may be a way to pull ourselves, at least partially, out of the hole we have dug for ourselves. In Colorado, the Hospital Provider Fee (HPF) is a major budgetary factor that is currently triggering a TABOR refund while I/DD providers are facing rate cuts. The Hospital Provider Fee generates about $750 million revenue, which counts towards the State’s TABOR revenue limit. 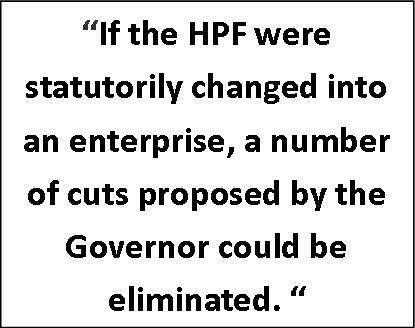 If the HPF were statutorily changed into an enterprise, a number of cuts proposed by the Governor could be eliminated. Colorado has almost two dozen enterprises that finance and/or administer various programs, including unemployment insurance, our higher education system, the Colorado Lottery, corrections, and special districts providing essential services such as fire protection. 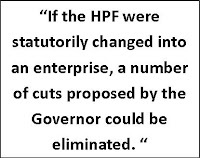 Changing the HPF to an enterprise would not require a vote of the citizens of Colorado. 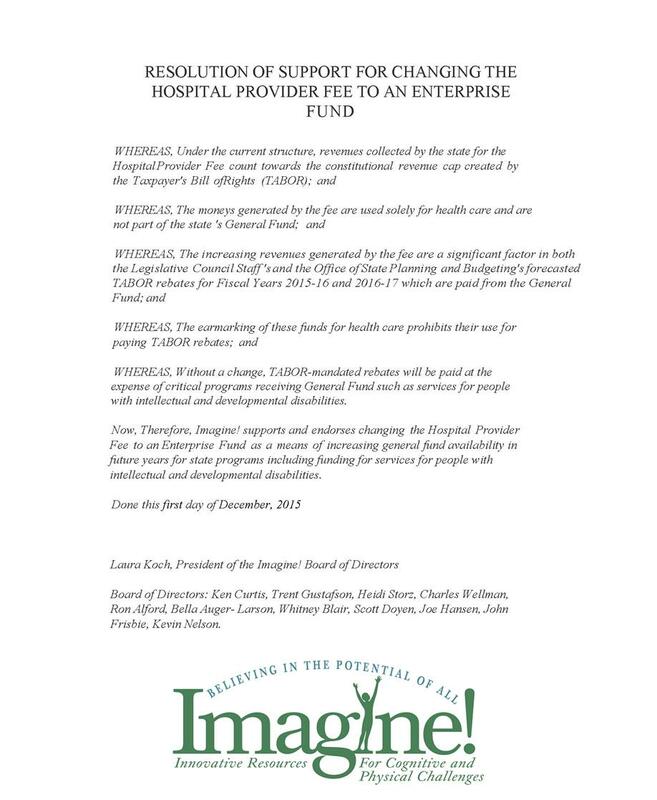 Instead, creating this new enterprise would require the legislature to introduce a bill this coming session (which is likely), similar to HB 15-1389: Create New Hospital Provider Fee Enterprise, which was introduced last year and received too little attention too late in the session. The state legislature, the Speaker of the House of Representatives, and the President of the Senate will all need to exercise the leadership necessary to get the presumptive bill to the floor for a vote this time. Governor Hickenlooper, who currently supports the concept, could exercise the influence and leadership necessary to move Colorado out of the shadows of this perpetual cycle of budgetary crisis. The Imagine! Board of Directors has passed a resolution, shown below (click on the image for a larger view), to support such a bill this session. Imagine! 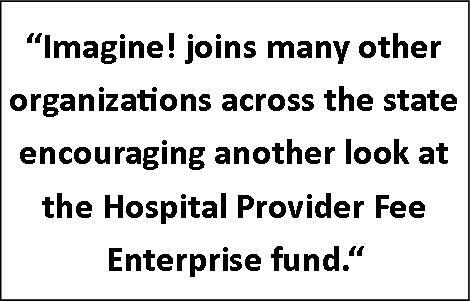 joins many other organizations across the state encouraging another look at the Hospital Provider Fee Enterprise fund. 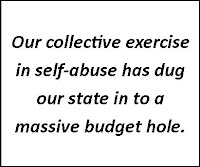 This is not a permanent solution for the constitutional budget abuse, but it could by us a few years until our collective knowledge will allow us the necessary collaborative budget daylight we seek. Pictured above is Lana waiting for the bus. Lana lives in Imagine!’s Bob and Judy Charles SmartHome, and thanks to the support of Imagine!, she has been making great strides toward becoming more self-reliant. Technology has played a huge role in this move toward more self-reliance. Last week we shared a video on how a computer-based prompting system was used to increase Lana’s medication self-reliance. Then, Imagine! took the next step. In order to start scheduling her own appointments, we devised a tool to create a mock phone menu so that Lana could practice calling in to her doctor and setting up appointments in a stress-free setting, until Lana was comfortable setting up the real appointment. 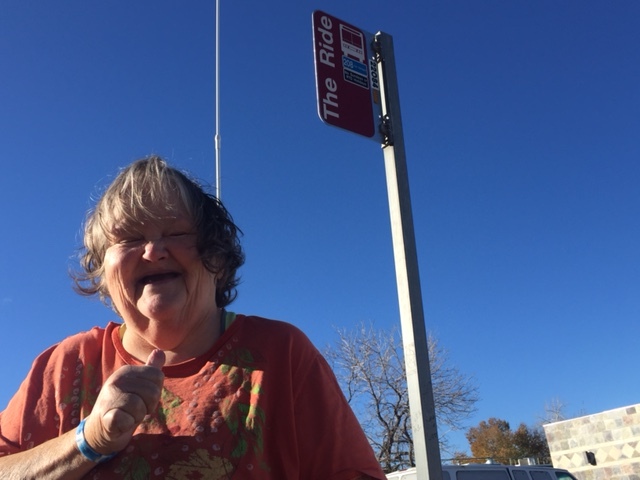 And starting this week, Lana has begun using the bus to get to and from the medical appointments that she sets up by herself. Way to go, Lana! Colorado Gives Day Is Today! Imagine! believes in the potential of all. We believe in babies, toddlers, families, and adults at work and at play. Colorado Gives Day is today, and it is a great opportunity to support everyone's potential through a donation to Imagine!. The Colorado Gives Day $1 Million Incentive Fund will boost your donation, making your dollars do more to help people with intellectual and developmental disabilities. The Incentive Fund is a pool of dollars, provided by Community First Foundation and FirstBank, to boost every donation made through ColoradoGives.org on Colorado Gives Day. For example, if Imagine! 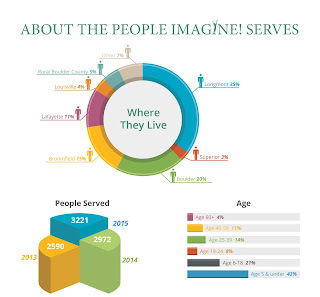 receives 10% of the total donations made on Colorado Gives Day, Imagine! also receives 10% of the $1 Million Incentive Fund. Make your donation today, and thank you in advance for your support! 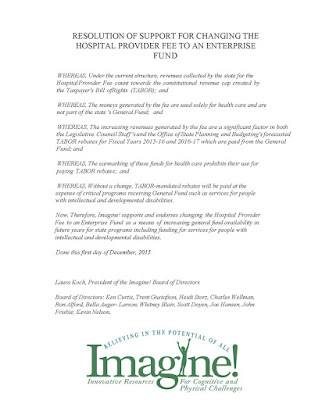 Today, I’d like to congratulate the 2015 Imagine! Employees of Distinction. This year’s Employees of Distinction were selected from an impressive list of nominees because of the great work they do every day to ensure that Imagine! is able to meet its mission of providing opportunities for the individuals we serve. As you undoubtedly know, we are so fortunate to have so many dedicated, talented, and passionate people working here at Imagine!. Even among this impressive group of employees, there are workers whose work ethic, compassion, and creativity allow them to stand out in a very gifted crowd. They are truly Employees of Distinction, and I am honored and humbled to call them colleagues. All of our Employees of Distinction will be honored at Imagine!’s Holiday Party tonight. In advance of the ceremony, I’d like to introduce them to all of my blog readers via the short video below. It is my pleasure to offer a hearty “way to go!” to this group of superstars! Tuesday evening’s Imagine! Board of Directors meeting was bittersweet as we bade farewell to Kevin Nelson, who is stepping down from the board after serving for eight years. Kevin began his career working for Imagine!’s supported employment service (now called CORE/Labor Source) back in 1985. Though he eventually left that position and took a different career path, Imagine! never left his heart and when the opportunity to serve on the board arose he embraced it fully. His calm and informed leadership on the board, including a stint as Board President during a challenging time at Imagine!, was extremely beneficial and will be greatly missed. In the picture below, current Board President Laura Koch presents Kevin with a gift of some locally distilled gin (don’t worry, we didn’t have any during the meeting!) as a small token of our great appreciation. On a personal note, I want to say how much Kevin’s support and mentorship meant to me when I first took the position of CEO here at Imagine!. I had so much to learn, and Kevin was there to guide me every step of the way. I’m not sure I could have succeeded without him. Thank you for your service, Kevin! PS – learn more about Kevin’s Imagine! experiences here. On Friday, I will have the pleasure of introducing the 2015 Imagine! Employees of Distinction. Below is a composite picture of this year’s eight recipients. 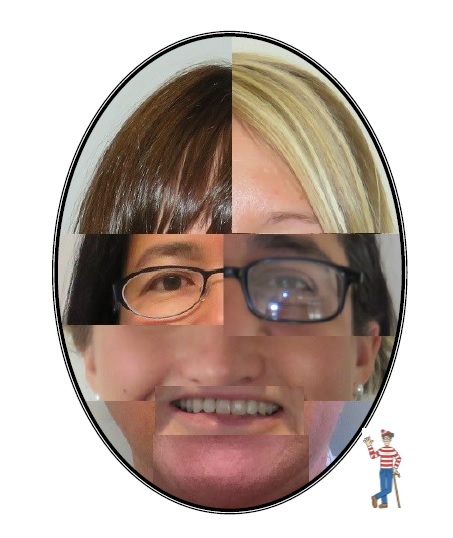 Think you can guess who they are? Tune in to this blog Friday to find out for sure! We’ve shared before how Bob and Judy Charles SmartHome resident Lana has used an interactive medication administration tool created by Imagine! staffers to become more independent when it comes to her own medication administration. The short video below features some Imagine! staff members sharing the story, including how Lana’s success inspired her housemates! Yesterday was a day of thanks, and in that spirit, today I’d like to thank some businesses who are supporting Imagine! in some fun and creative ways. 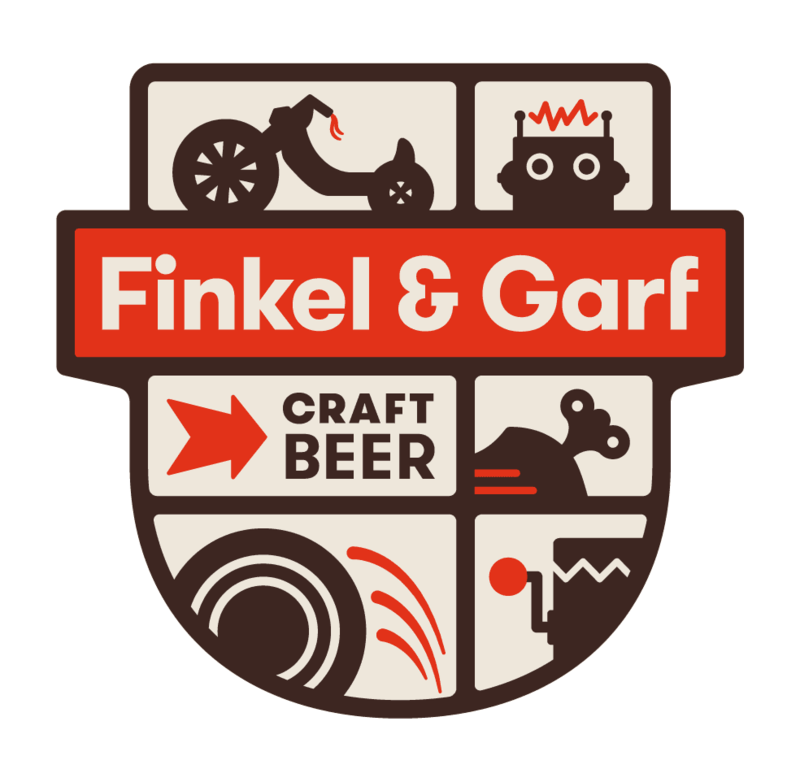 Let’s start with the awesomely named Finkle and Garf Brewery. Dan Garfinkle, the owner and manager, was contacted by Imagine!’s Out & About department to chat about their “Thank Goodness Its Saturday (TGIS)” program and the possibility of the brewery hosting a few parents for a casual afternoon (after holiday shopping at Flatirons Crossing) of socializing on December 5th. Dan volunteered to host our parents from 2pm-4pm that afternoon and provide a few pitchers of beer. Then, Dan made a surprise suggestion: "Let's make it bigger." Aside from donating pitchers of beer to TGIS for the parents with our group, he offered to donate 10% of net proceeds from December 5th to Out & About! We are so blown away by his generosity and cannot believe how awesome this is for Out & About! So please support Dan and Out & About by heading to Finkle and Garf Brewery (5455 Spine Rd, Unit A, Boulder, CO 80301) for some outstanding craft beers on Saturday December 5. We’ll see you there! MOOV is hosting a “Kettlebell Swing-a-Thon” on Dec. 12, 2015 to raise money for Imagine!. Donations/pledges are on a per-swing basis (i.e. $0.25/swing). Participants will complete their swings between 1p and 4p on 12/12/2015 and will receive an email on their specific start time 24 hours prior to the event. My muscles are burning just thinking about it! If you are interested in participating click here. You can also learn more on the Kettlebells 4 Christmas Facebook page. MOOV was born out of boredom with the normal gym experience and a love for functional fitness and alternative therapies, and was founded by a team of fitness enthusiasts who wanted more from their training. This event clearly demonstrates their creativity, in addition to their commitment to their community. Jensen Guitar Company and The Willow River Music Emporium (pictured above are Don Jensen and Sandy Farnsworth) made a generous donation of a guitar to Imagine!’s Charles Family SmartHome as part of their "Gift of Music" Giveaway program. Music is a staple at the Charles Family SmartHome, and the new guitar will be a great addition. It's so heartwarming when a small local business gives back so generously, and we are most appreciative. In fact, the residents of the home created a “thank you” video for Jensen Guitar Company and The Willow River Music Emporium. Check it out below. Strider Sports International donated two Strider bikes to Imagine!’s Out & About department as part of their Rider Fund program. Last year, Strider donated a total of more than $300,000 through the Rider Fund, of which more than 75% went to individuals with special needs. Strider representative Marty Martinez even came out to Lafayette to give a clinic on the bikes for Out & About participants. “Out & About is thrilled to have received the donation of two Strider bicycles to use in both Children and Adult programs,” said Megan McKean, Out & About Therapeutic Specialist. “We believe the use of these Strider bikes will help our participants increase balance, stability, and confidence. We are so thankful Strider has shared the learning tools with us to help our participants achieve success in this wonderful and fun experience.” To learn more about Strider’s bikes may benefit individuals with special needs, click here. Here’s another example of how Imagine! uses video making tools such as GoAnimate to share information with our stakeholders in interesting and easy to understand ways – a video created by our Family Support team to explain Social Security Disability Insurance (SSDI), Medicare, and the Waiver system. Today, I’d like to offer my sincere thanks to Dave Query, who is treating individuals served by Imagine! and their families to a traditional turkey dinner on Thanksgiving Day. This is the 12th year Query has hosted this event, which will again be at Zolo Southwestern Grill, 2525 Arapahoe Avenue, Boulder. There are three seatings, and all three have been filled already! That means a lot of folks will be the recipients of Dave's generosity. Dave is the owner of Big Red F Restaurant Group, including restaurants Centro Latin Kitchen, Jax Fish House – Boulder, Denver, Fort Collins, Glendale, and Kansas City, LoLa Coastal Mexican, Post Brewing Company, West End Tavern, and Zolo Grill. Dave is donating the makings for a delicious Zolo-style repast with all the trimmings, and the wait staff is volunteering its time. There is no charge for the meal, and no tips are necessary. Dave Query (in the center in the back) with family and Zolo staff members at a recent Thanksgiving feast for individuals served by Imagine! I continue to marvel at the kindness of Dave and the Zolo staff, they are generous beyond words. In a related good news story, Dave was recently honored with the Boulder Chamber of Commerce’s Entrepreneur Legacy Award, for building a lasting tradition of success, bold vision, and values that is a model for other entrepreneurs and businesses to follow. I couldn’t imagine a more deserving recipient, and offer my hearty congratulations on top of my gratitude for his continued support of the people we serve. In a post last week, I pointed out the sad irony of those of us trying to provide services for individuals with intellectual and developmental disabilities in the state of Colorado: irrespective of how the economy is doing, the rates for providers always seem to get cut. I left you with the promise to let you know why – and that’s what this post is all about. While the economy in Colorado has rebounded there are large cuts to many state departments and services in the Executive budget request. 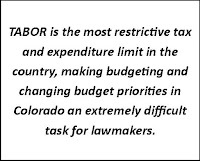 A combination of conflicting constitutional budget amendments, Federal requirements, and the anticipated TABOR refund have caused significant budget pressures and we are now at a crossroads in Colorado. Let’s go a little deeper into that topic. I’ll start with TABOR. In 1992, the voters of Colorado approved a measure which amended Article X of the Colorado Constitution that restricts revenues for all levels of government (state, local, and schools). Under the Taxpayer’s Bill of Rights (TABOR), state and local governments cannot raise tax rates without voter approval and cannot spend revenues collected under existing tax rates without voter approval if revenues grow faster than the rate of inflation and population growth. Revenue in excess of the TABOR limit, commonly referred to as the "TABOR surplus", must be refunded to taxpayers, unless voters approve a revenue change as an offset in a referendum. 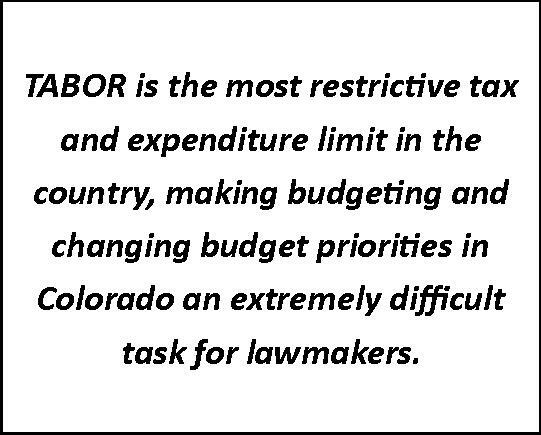 By all accounts, TABOR is the most restrictive tax and expenditure limit in the country, making budgeting and changing budget priorities in Colorado an extremely difficult task for lawmakers. 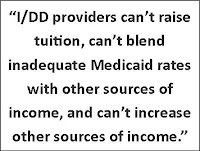 So even legislators friendly to the needs of people with I/DD don’t have many options when it comes to provider rates. But TABOR is only part of the issue. Now let’s talk about Colorado’s Amendment 23. In 2000, voters approved Amendment 23, a constitutional amendment intended to guarantee annual increases in funding for public elementary and secondary education. However, during the Great Recession, the required increases in funding were set aside by the General Assembly based on an interpretation of Amendment 23 that limited required increases to just a portion of per pupil funding (base per pupil and categorical funding) allowing the creation of a budget reduction tool referred to as the Negative Factor. 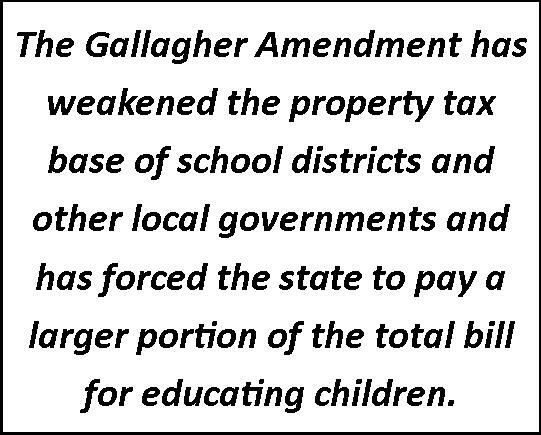 And here’s another constitutionally based challenge to our state’s budgeting process: the Gallagher Amendment. 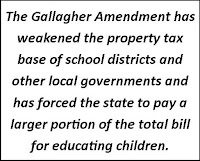 A 1982 constitutional provision, the Gallagher Amendment has weakened the property tax base of school districts and other local governments and has forced the state to pay a larger portion of the total bill for educating children. That, in turn, has reduced money available for other areas of the state budget, such as human services, Medicaid, etc. As a proposed amendment is developed and then brought to the ballot, there is no process for relating the measure to existing provisions already contained in the constitution. The result is a document characterized by internal conflicts and unintended consequences. For example, it is not likely that supporters of constitutional Amendment 23 intended that additional funding for K-12 education should come at the expense of higher education. However, that's essentially what happened when Amendment 23, the TABOR amendment and an economic downturn came together. I think the situation here is one where voters have said to our politicians, in a loud and clear voice, “We don’t trust you.” When you look at politics these days, that sentiment is understandable. 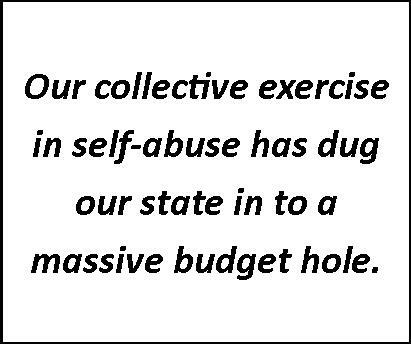 Unfortunately, that lack of trust, and our collective exercise in self-abuse, has dug our state in to a massive budget hole. The hole is there when the economy’s bad, and the hole is there when the economy’s good. I question whether the current state leadership has the skills or capability to bring us out of the hole. Instead, we just go deeper into it. The result is an inability to find extra funds for many of our state’s pressing needs, including services for people with I/DD. There may be a way to pull ourselves, at least partially, out of the hole, however. I’ll describe that option on this blog in a couple of weeks. For today’s Technology Tuesday, I’d like to offer my sincere thanks to the Safeway Foundation for a grant that will help us implement more technology into our services. With the generous support from the Safeway Foundation’s grant of $3,100, Imagine!’s CORE/Labor Source department will purchase electronic tablets, equipment and applications to help prepare participants for work assignments and to foster their success in specific jobs. Participants will use the electronic tablets in developing general skills to facilitate job placement, including reading and basic mathematics. The electronic tablets will also benefit participants in learning specific job-related skills to facilitate independence. Examples include task prompting, video reminders of the steps involved in certain tasks, and communication with offsite job coaches of changes in job duties. Ultimately, the end result are participants who are engaged, have increased self-worth, and an enhanced quality of life. Thank you, Safeway Foundation, for partnering with Imagine! to ensure access to technology for all! Pictured below are (left) Susan Morris, Safeway’s Denver Division President and Michelle Conkey, Imagine!’s Grant Writer. Colorado Gives Day is December 8, 2015, and it is a great opportunity to support everyone's potential through a donation to Imagine!. The Colorado Gives Day $1 Million Incentive Fund will boost your donation, making your dollars do more to help people with intellectual and developmental disabilities. The Incentive Fund is a pool of dollars, provided by Community First Foundation and FirstBank, to boost every donation made through ColoradoGives.org on Colorado Gives Day. For example, if Imagine! 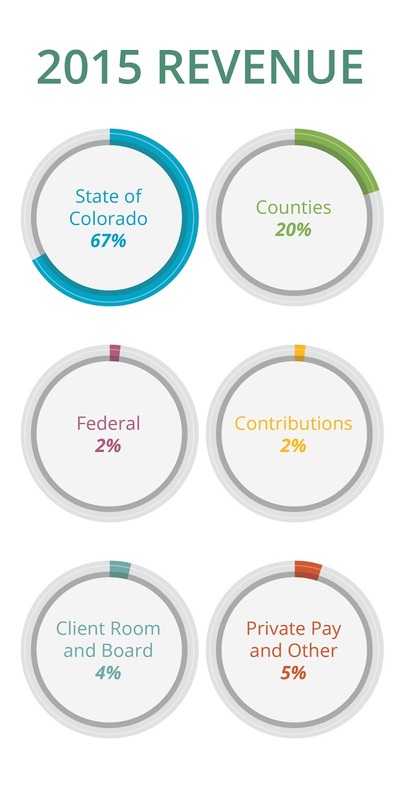 receives 10% of the total donations made on Colorado Gives Day, Imagine! also receives 10% of the $1 Million Incentive Fund. You can even preschedule your donation! When prescheduling, be sure to select “Dec. 8” as your donation date to have your contribution qualify for the Incentive Fund boost. Preschedule your gift today, or think of us when making your donation on December 8! The Governor’s Office of State Planning and Budgeting has proposed another 2.0% rate cut in July of 2010. We place no blame for our current economics, but rather seek to understand the meaning in our world of services. In some areas of the economy, you simply spend less with lowered revenue. A typical family budget would react this way. Our contracts with the state however, expect us to do exactly what we are doing today, with less revenue. Next year that projection is about $750,000 less. The advice I give my teenagers is, “Don’t buy a car that you can’t afford to insure and maintain.” Our service systems in Colorado were designed in a time when the state thought it could insure everyone eligible would be served and maintenance of the system was affordable. Now the state owns an old car, without enough seats, and the car is in bad need of repair. My second issue is with regard to our economic recovery. I am optimistic that we will see a slow recovery. However, because of the growing number of adults who are eligible for service, and existing TABOR restrictions, I am predicting a couple of events that together will not work in our favor. When the state can afford to appropriate more dollars to address citizens with developmental disabilities and their needs, they will first serve more people, instead of restoring the rates we enjoyed two years ago. They will only be able to grow this appropriation at a pace allowed by TABOR, thus never catching up to the number of people who are eligible. Growing the rates will be a very difficult public negotiation, considering the number of people without needed service. Our available workforce will migrate to businesses that will enjoy the return of good economic times. By virtue of the state’s design of service delivery, we will be challenged to maintain a workforce to deliver services without improved rates. Though I don’t expect anyone to have forgotten, just a reminder: at that time, Colorado and the nation remained mired in a deep recession, which many used as an excuse to cut rates for providers of services for individuals with intellectual and developmental disabilities (I/DD) in Colorado. In my January 2010 report to you, during the heart of the recession the Governor’s Office of State Planning and Budgeting proposed a 2.0% rate cut in July of 2010. We navigated through several years of rate cuts during the recession. The State expects the same level of service no matter what the rate we are paid. Curiously, this week, during a booming economy, the Governor’s Office of State Planning and Budgeting again proposed a 1.0% rate cut for our services. Last year, while our rates increased by 1.7%, the cost of doing business rose 2.7%. Combine this news with our dwindling workforce (Boulder County is reporting a 2.7% unemployment rate), and any available workforce is migrating to businesses that are enjoy the return of good economic times. We are again challenged to maintain a workforce to deliver services with inadequate rates. Now we have a good economy, but we’re still seeing cuts. One could argue that it just doesn’t seem to matter how the economy is doing, the State’s budget cutting compass always points to services for I/DD like we are the magnetic north. Economy’s bad? Cut rates. It just doesn’t matter. Economy’s good? Cut rates. It just doesn’t matter. So why is this the case? Check out this blog next week to find out. Or don’t. It just doesn’t matter. Below is an example of another application for iPads used by Imagine!’s CORE/Labor Source team during its Foundations of Communication class. 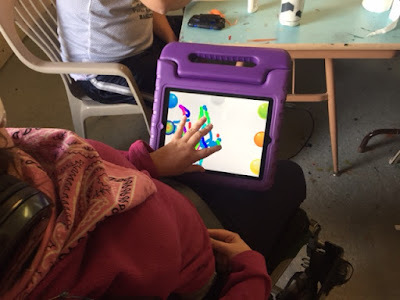 The app being used is called Finger Paint with Sounds. Essentially, this turns the entire screen of the iPad into a vibrant environment of color and sound. This is an excellent tool for bringing the artistic experience to life for individuals we serve. 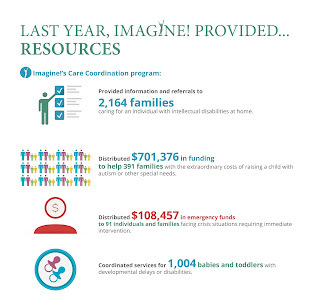 Imagine!’s Care Coordination Team did something truly remarkable over the past two years. Watch the video below to learn more. Susan, who lives in Imagine!’s Manhattan Group Home, diligently makes use of any tools available to increase her independence. 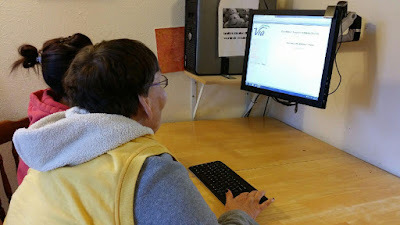 Here's a picture of her taking advantage of the house desktop to navigate Via's website in order to quickly and easily schedule her transportation for the week! Keep up the great work, Susan! On the behalf of all of the nursing mothers working at Imagine!, today I’d like to thank Boulder County Public Health for offering Imagine! a $1,000 grant to help us create a safe and comfortable lactation space at our Dixon St. office building, as well as assisting in equipping the room. Imagine! is the first recipient of this grant funding in Boulder County! Pictured below in the new nursing room at Imagine! are Linda Kopecky, Breastfeeding Friendly Environments Project Coordinator, Boulder County Public Health (left), and Karen Kalis, Imagine!’s Director of Human Resources. Thank you, Boulder County Public Health, for giving us this opportunity to support the new mothers in our workforce! To learn more about the Boulder County Public Health grant, click here. And the good news doesn’t end there! About a week ago, the Daily Camera ran an article about the Boulder County Public Health grant and Imagine!’s participation. You can read that story here. One person read the article and was so impressed that they donated a variety of Bamboobies products for Imagine!’s lactation space. We are so fortunate to live in such a generous community! Fall was showing its full colors for Imagine!’s Out & About department’s third “Thank Goodness it’s Saturday” (TGIS) event! This month, participating parents took to the trails near Boulder for a morning hike, and later warmed up at OZO Coffee with treats and drinks. Participating kids made their way to Cottonwood Farms in Boulder. 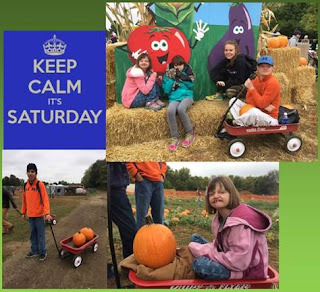 At the farm, participants enjoyed exploring the pumpkin patch, corn maze, and looking at some of the animals on the farm. On behalf of Imagine! and Out & About, I’d like to extend a huge thank you to Justin Hartman and Adam Westlake, at OZO Coffee Company’s Arapahoe Avenue location, for their kindness and support! A couple of weeks ago, I had the privilege of attending both the Coleman Institute’s Conference on Cognitive Disability and Technology and the ANCOR & AAIDD Technology Summit and Showcase. I use the word “privilege” very intentionally. 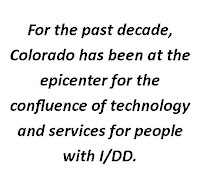 For the past decade (and more), Colorado has been at the epicenter for the confluence of technology and services for people with a variety of intellectual and developmental disabilities (I/DD). We are so fortunate to be able to experience firsthand what’s new, what’s next, and what we can expect in the future of service delivery. We can see the latest and greatest tools and techniques being used and learn and share our ideas with each other. Yet, each year as I marvel at how fortunate Imagine! is to be able to attend and participate in these conferences, I also find myself astonished at who isn’t attending these events. Despite the huge number of service providers in our state, very few of them have a presence at either conference. Even less represented are our state policy makers. 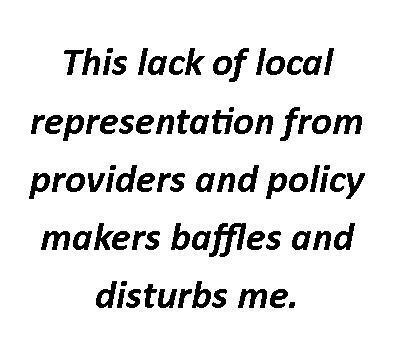 This lack of local representation from providers and policy makers baffles and disturbs me. Like it or not, what is being presented at these conference represents the future of services. They let us know where we’re going and what we need to do to prepare. Those providing the services absolutely need to know what is coming down the pipeline so they can plan appropriately, and our policy makers need to be aware of new approaches and technologies so they are able to provide rules and regulations that match the reality of services now and into the future. I’m sure some of those who may recognize themselves in my comments above would respond with some version of “I’m too busy” or “we don’t have the resources to attend.” Both reasons are valid, but only to a degree. At some point, every organization (provider or regulator) has to take some time to look beyond the immediate. Suppose you were to come upon someone in the woods working feverishly to saw down a tree. "What are you doing?" you ask. "Can't you see?" comes the impatient reply. "I'm sawing down this tree." "You look exhausted!" you exclaim. "How long have you been at it?" "Over five hours," he returns, "and I'm beat! This is hard work." "Well why don't you take a break for a few minutes and sharpen that saw?" you inquire. "I'm sure it would go a lot faster." "I don't have time to sharpen the saw," the man says emphatically. "I'm too busy sawing!" 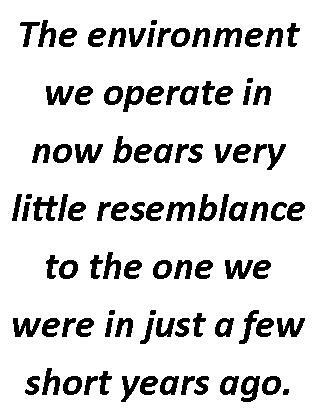 In Covey’s book, “Sharpening the Saw” is about renewing oneself. But I think it applies to organizations as well. Those organizations and policy makers in the I/DD field who aren’t taking the time and effort to learn about what is happening (tech-wise or otherwise) that is making our services more efficient and effective risk becoming the man sawing the tree – their work gets harder and harder, and the returns are diminished with each stroke. I know I’m pointing a finger here, but I feel strongly about this. I fear too many in our field aren’t embracing progress. Maybe they feel that since what we’re doing has worked before, it should still work fine now. That simply isn’t true. The world, and technology, has changed monumentally in the past twenty years. The environment we operate in now bears very little resemblance to the one we were in just a few short years ago. 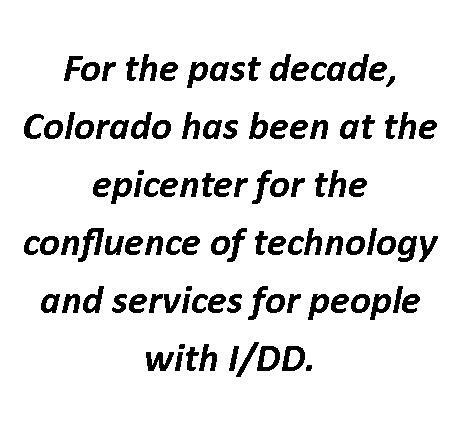 What we can do and what we are expected to do when providing services for folks with I/DD is very different today than it was at the turn of this century. Pleading that you are too busy or can’t make the effort to figure out how to operate in this new environment isn’t acceptable anymore. I hope to see a lot more providers and policy makers at next year’s events, armed with saws ready to be sharpened!